Fonterra has had to trim its milk price forecast for this season and has also increased its forecast New Zealand milk collection volumes from 1,525 million kgMS to 1,550 million kgMS in reaction to strong early season production. Last season Fonterra collected 1,505 million kgMS, so, the new forecast represents a 3% expected production lift for this season. The dairy co-operative has taken the new approach of providing a range of potential prices, as opposed to the usually seen specific quoted figure. Fonterra's now saying the milk price for this season could come in between $6.25 and $6.50 per kilogram of milk solids. This is down from the $6.75 forecast made in August and the season-opening forecast of $7. See dairy payout history here. ASB chief economist Nick Tuffley said ASB's "back-of-the-envelope estimates" suggest that a downward revision of the milk price from $6.75 per kgMS to $6.25-$6.50 per kgMS would lower farm incomes by $380m-$760m in the 2018/19 season. "But factoring in Fonterra’s higher volume forecast, the net hit to farm incomes will be in a $220m to $620m range, according to our estimates." While Fonterra's decided to give a range of potential milk prices, chief executive Miles Hurrell stressed that the Advance Rate to farmers is based on $6.25 per kgMS "and the final price could be outside this range as we are still early in the season and up against considerable volatility". "We therefore recommend farmers budget with ongoing caution." The dropping by Fonterra of its milk price puts it now more in line with economists' projections, though if you take the lower $6.25 figure in the range, it actually starts to undercut some of the economists' predictions. 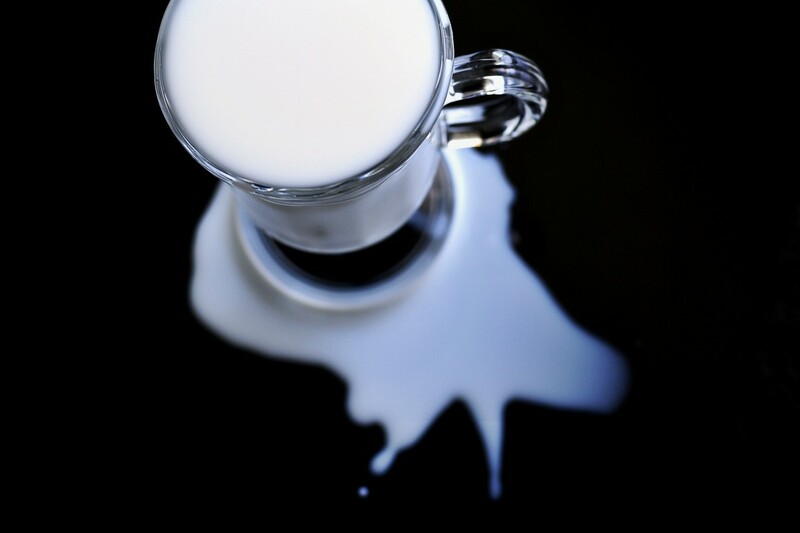 The news that milk productions could now be as much as 3% more than last season may put further downward pressure on global dairy prices, which have been slumping in any case. Overall prices in American dollars, as measured by the GlobalDairyTrade price index, are down by about 14.5% in the past 12 months - although the falling value of the Kiwi dollar in recent months has alleviated that considerably with the drop in NZ dollar terms being more around 2.5%. Hurrell said Fonterra was still seeing strong production coming from Europe, US and Argentina. "While the hot weather in Europe has slowed down the region’s production growth, it is still tracking ahead of last year. US milk production is up slightly and Argentina’s is up 6.8%. Global demand "is simply not matching current increases in supply", he said. On the decision to move to forecasting a range of possible milk prices for the season, Hurrell said it was part of Fonterra's intention "to provide the best possible signals". “We operate in a hugely volatile global market place, so it is very difficult to pinpoint an exact forecast Farmgate Milk Price this early in the season. For example, weather conditions can change suddenly and this can have a significant impact on the global milk supply." ASB's Tuffley said despite the announcement from Fonterra in reducing its forecast, the medium-term outlook for the sector remains favourable, with strong demand from Chinese and South East Asian consumers. However, in the short-term, "we expect more downward pressure on dairy prices", he said. "NZ is at its seasonal peak in production in October and in line with this peak auction volumes are also at their highest level for the year." It's the volatility / inaccurate forecasting by Fonterra that is adding to significant nervousness among both dairy farmers and their banks. With recent significant falls in the bulk of our beef schedules and expectations of more to come and now dropping milk prices the reality is starting to reflect recent business confidence surveys. Dairy prices usually move in tandem with oil prices as those rich Middle eastern kingdoms buy more white gold when their state-owned enterprises earn greater returns on sale of black gold. One explanation could be the reduction in subsidies introduced in these countries while crude prices fell to decades low levels. Governments in these nations are now more sceptical on lavishly spending proceeds from sale of the limited resource. Also, the surplus cash has already been earmarked by most governments for investment in massive public projects to modernise their oil-dependent economies. When I read the news about J Arden being happy about Q2 2018 GDP number prior to its release by Stats NZ, I wondered the quality of the political party because it just reflected how extremely myopic this party is -- being happy about economic performance over only one past quarter but being oblivion on plummeting business confidence, trade war, soaring oil prices, and decreasing international dairy prices. Happy 國慶日 xingmowang. The Republic of China is now 107 years old, what an achievement. What are you and your family doing to celebrate your national day, and Chinese democracy in general? haha LOL. Happy double 10 day - Taiwan's national day. I am sure that I love you as much as you love me. I always receive email to warn against attending any related ceremonies on behalf of my organization or as an individual as NZ government admits the one China principle. By saying that, I do hope Taiwan and her people's prosperity, and returning home to the mother land very soon. Not just Taiwans national day xingmowang, all of China. Remember, the ROC was there 38 years before the PRC existed, and it will still be there when the PRC goes the way of the USSR. I hope one day you can be reunited under the three principles of the people (三民主義). Then maybe you too can enjoy democracy, the right to protest, a free press, and the rule of law - I mean without having to travel to a western country or Japan. On the other hand, it takes 20 years (after Taiwan being democratized) to build a 27km light railway connecting Taipei CBD to the airport under numerous elected parties. It is a consensus now that the last thing China needs is a system that divides people and the country. Planned economies and dictatorships are fragile things. You know as well as I do that any love for the communist party is conditional. When disaster strikes, and there's no ballot box to vent your anger... the people only have one recourse. Democracies are robust, the PRC has an expiry date. Dictatorships can be great for getting infrastructure done, there's no doubt about that. In a democracy like Taiwan it's a messy affair, involving peoples rights, purchasing land, etc etc. Can't just throw the peasants out with armed police without recourse like some kind of red bandit! Some projects can take a long time (you neglect to mention how early they had HSR for such a small island before the mainland, but never mind). I think when the communist parties time comes, the people will naturally look across the strait and gravitate towards the ROC. I just hope the ROC doesn't become so localised that they won't have you - though I can see how it might happen. And you really won't be able to blame them. Happy national day xingmowang. May you one day be able to elect a leader of your own country, then complain about them on twitter. Your understanding of China is about 40 years old and you have no idea what is going on China from an ordinary Chinese point of view. Comparing with China and NZ political system, I'd rather have a leader and supporting politburo members with 30 yrs of solid experiences in managing a country than electing (Peters chose her on my behalf but without my consent) a leader who can only talk and the only merit being look relatively good than her peers. I simply cannot imagine China having such a political system. It is just laughable, seriously. You know their glass hearts have shattered when they pull out the "laowai doesn't understand" card. Then, show me your understanding of China from an ordinary Chinese point of view. what is your point? Let's all look at history and see what has been done wrong? How about let's look at the future and see who will do more right things? reading your responses to Xing, and i feel your bigotry is a little too much. Yes china is not a democracy, but Chinese culture is different. It doesn't mean it is wrong. while most of us would struggle if it was suddenly imposed on us. It is never the less valuable to have Xing's contribution here as he sees us from a different cultural perspective. He does not hide hsi bias, and provides what i see is an honest contribution. Please stop trying to silence him. The Republic of China is a democracy. Chinese culture is not so different that it can't have a democracy. That's my whole point. Core values, not culture, are the differentiating factor. And the differences between Western core values and Chinese core values are stark. The balance sheet has to be strengthened one way or another. It's been loaded with too much debt and with global rates on the upturn the options for Fonterra are 1. reduce payments and use the balance to pay down debt, 2. Sell assets (which will probably happen as well) or 3. A big debt for equity swap via a large scale rights issue to stakeholders, providing there are enough off them with the leverage to do so, which many won't be able to cover. The recent articles from Keith have been enlightening - bizarrely though, the balance sheet information is still not entering the mainstream. Porquoi? No comment from media about the $900 million hit to the provinces from this announcement and subsequent business confidence? Well I mean, a recession is always coming. Unless you're in a recession already. Everyone can predict an eventual recession.Timing it accurately, now that's impressive. Okay , I would suggest within the next 24 months . I think it was more luck than deliberate focussed action. I'm happy to stick to my prediction of before the end of Q2 2019 (we'll find out officially by end September) but Q1 next year (which we'll here about in May), will be the first negative quarter. The slide will be rapid between now and Christmas and by January the nations credit card will have been maxed out keeping up with rising prices... Then the re-payments start. Eight "C"s Mr Boatman ;). I suspect that wont be a lucky eight for some. I agree headwinds and "prop it up at all costs" tactics have been signaling potential readjustment for some time. Timings a bit of a worry for this sceptic. In the past with imminent board elections Fonterra has done its best to maintain a positive outlook to maintain the status quo, so judging on previous form things are destined to get much worse. Certainly not a positive for the chosen three vs the two independents. Redcows 100% correct - you are a sceptic.